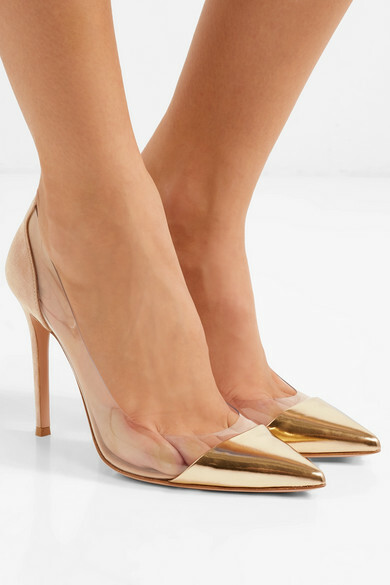 Even the highest pairs of Gianvito Rossi's 'Plexi' pumps are renowned for being extremely comfortable - that's what makes this metallic version so ideal for festive parties and events. 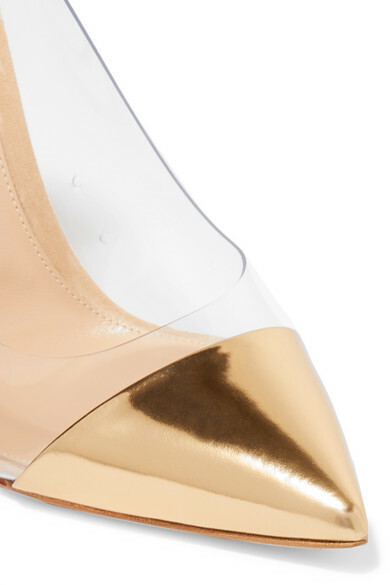 Made in Italy from transparent PVC, they have gold leather pointed toes and beige suede accents at the 105mm heels. Take a close look and you'll see tiny perforated holes at each side, making them a little more breathable. 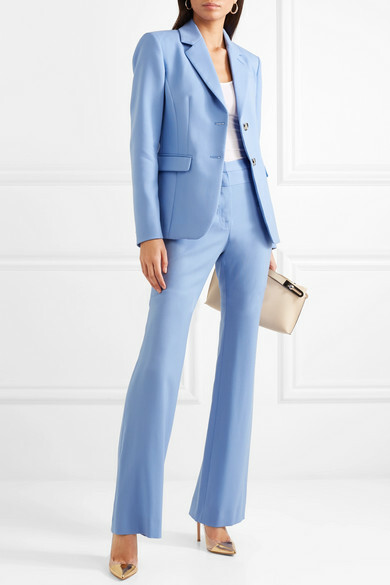 Shown here with: Altuzarra Blazer, James Perse Tank, Altuzarra Pants, Loewe Shoulder bag, Sophie Buhai Earrings.